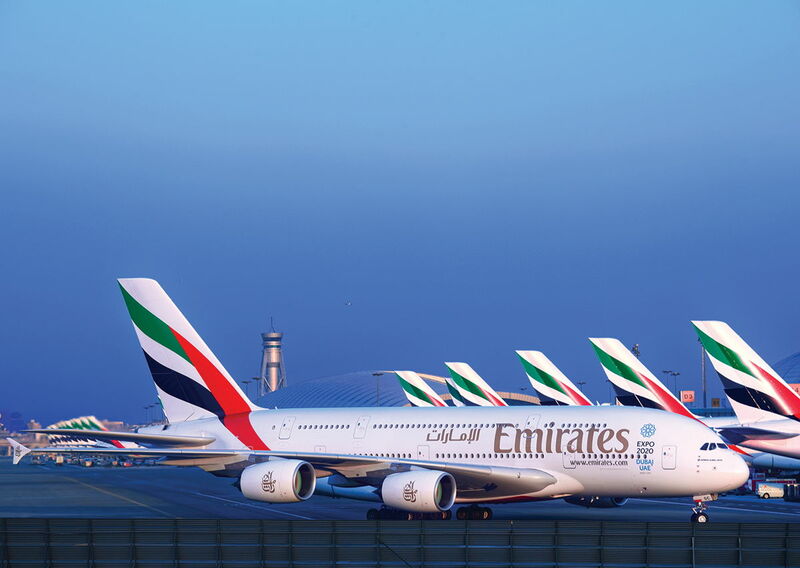 Can it really be ten years since Emirates Airlines first started flying the Airbus A380? Yes, indeed it can, the first flight took off on 1st August 2008 from Dubai and heading over to New York in a blaze of publicity and razmataz. Since those early days of double-decked transport, the Emirates A380's have carried more than 105 million passengers in luxurious surrounds on 115,000 flights, flying more than 1.5 billion kilometres - the equivalent to 39,000 trips around the world. 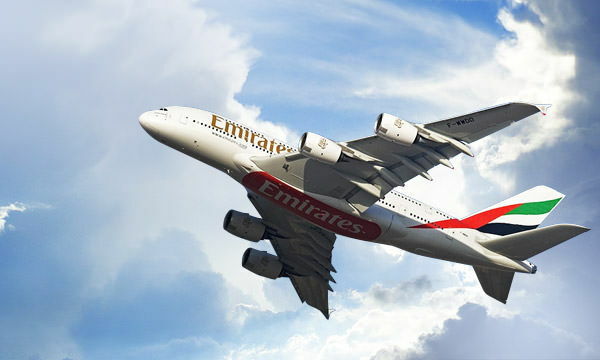 There is no doubt that the A380 is synonymous with the Emirates brand of in-flight luxury, the United Arab Emirates airline has 104 of the type, making it the largest A380 operator in the world. The four-engined double-deckers are deployed on 49 routes, spread over 6 continents on scheduled services with more than 80 daily departures from Dubai. 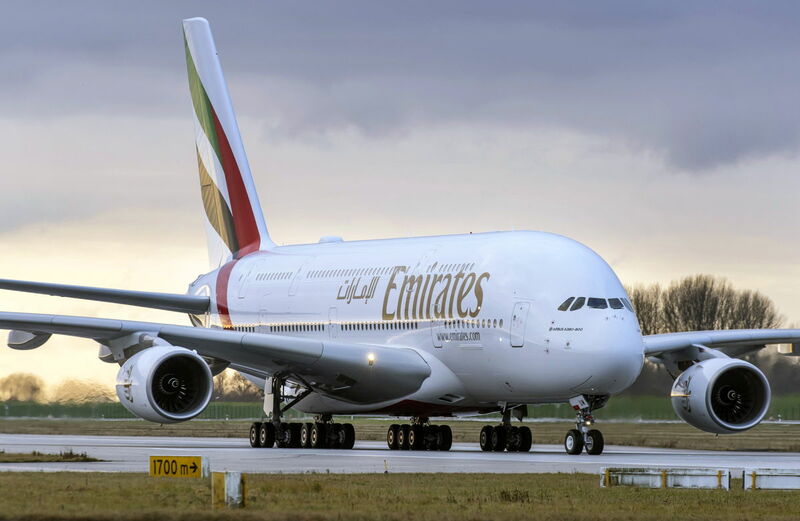 The airline has a further 58 Airbus A380s on order, Sir Tim Clark, President Emirates Airline said: “It’s been 10 extraordinary years since the first Emirates A380 flight took to the skies, and today it has become one of the most recognisable and admired aircraft in the world. Passengers love to fly it because of its spaciousness which provides more comfort across all classes, and its iconic products like the OnBoard Lounge, Shower Spa and First Class suites have redefined air travel. We remain committed to providing the best experience for our customers aboard our flagship aircraft, and introducing new innovations that will continue to ‘wow’ them every time they fly with us." The Emirates A380 has been an industry step-change for passengers to experience new standards of in-flight comfort and luxury. 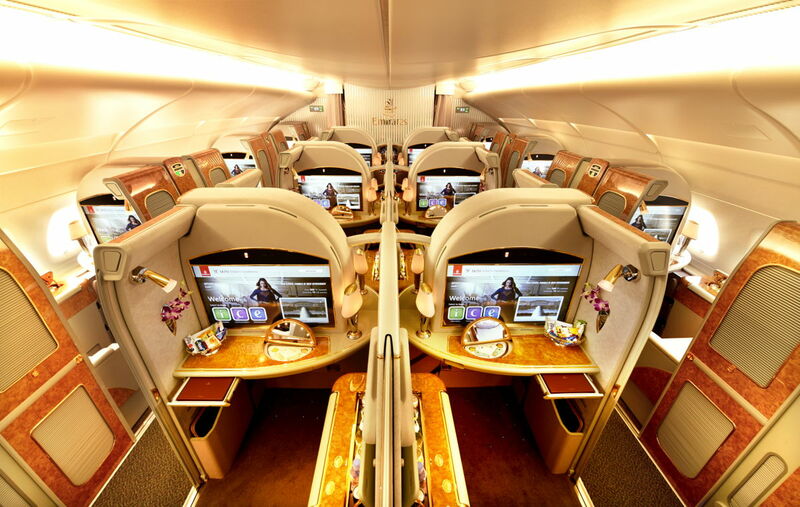 The Dubai based airline revolutionised the A380’s cabin space design when it introduced its bespoke version of the aircraft in 2008, incorporating higher ceilings, mood-lighting as well as signature, industry-first elements like its OnBoard Lounge, a social area at 40,000 feet where jet-setters could meet in an ambient setting. In 2017, Emirates introduced the next generation of the OnBoard Lounge featuring a sleeker design, new colour palette, social seating arrangement and surround sound, among other touches. The popular Shower Spa has become a defining feature of the premium experience on the Emirates A380’s three-class configured aircraft, and over 80% of long-haul First Class customers have utilised it.